The Coachman's House Gallery: Lucky 13! It's been a bit quiet on here, but believe me we have been very busy. At the beginning of May we celebrated our birthday, it was thirteen years since I took over The Gallery and so much has happened since then. We decided to celebrate by inviting customers old and new to visit the allergy and enjoy a drink and spend some time looking at my new paintings and catching up. 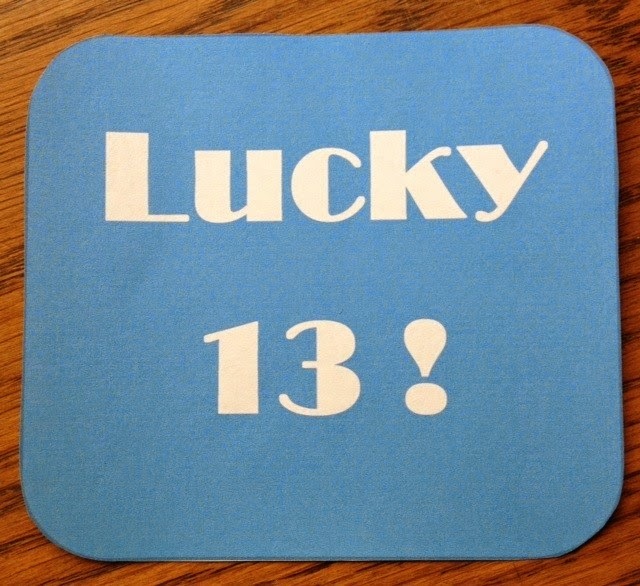 So, as thirteen is also a lucky number (I met my lovely husband, Tony on Friday 13th), we decided to call our celebrations, Lucky 13! We have a rolling programme of Solo Exhibitions in the Gallery and a continuous selection of lovely Contemporary Crafts and Applied Arts, some of the work is local to the Gallery, but not all, however, we are proud to 'fly the flag' and showcast British Designer/Makers. We also have a selection of Vintage Finds, including small items of furniture, china and glass which compliment contemporary pieces well and sit nicely together, just as they do in our own homes.